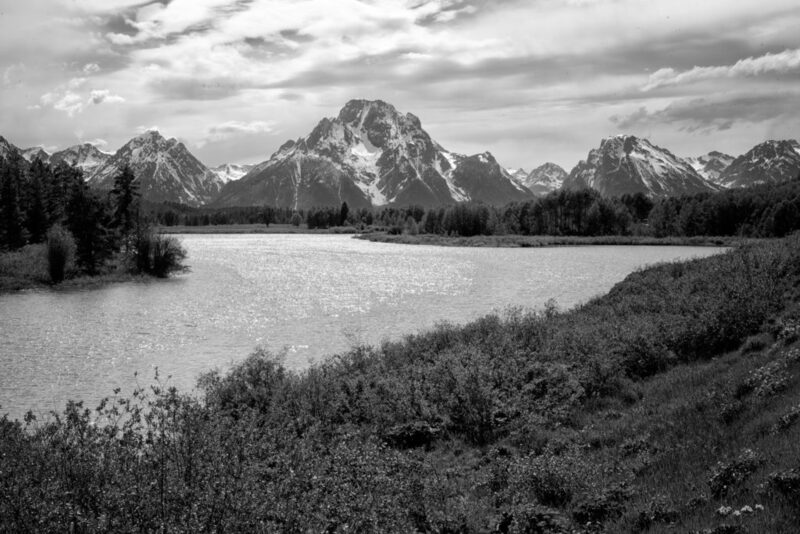 This is one of those “Iconic Views” of the Grand Tetons taken from Oxbow Bend of the Snake River. I think every photographer who has visited the Tetons has taken an image from here. In the early morning when I drove by this spot, the mountains were covered with clouds. I came back in the early afternoon when the landscape was covered with mid day sun, Even though the lighting was not the best, I saw tonality differences between the trees, river, mountains, and sky. I thought B&W would work. This entry was posted in B&W Photography, The Grand Landscape and tagged Grand Tetons, Mountains, Oxbow Bend, Snake River, Wyoming on July 22, 2017 by kgrafphoto.